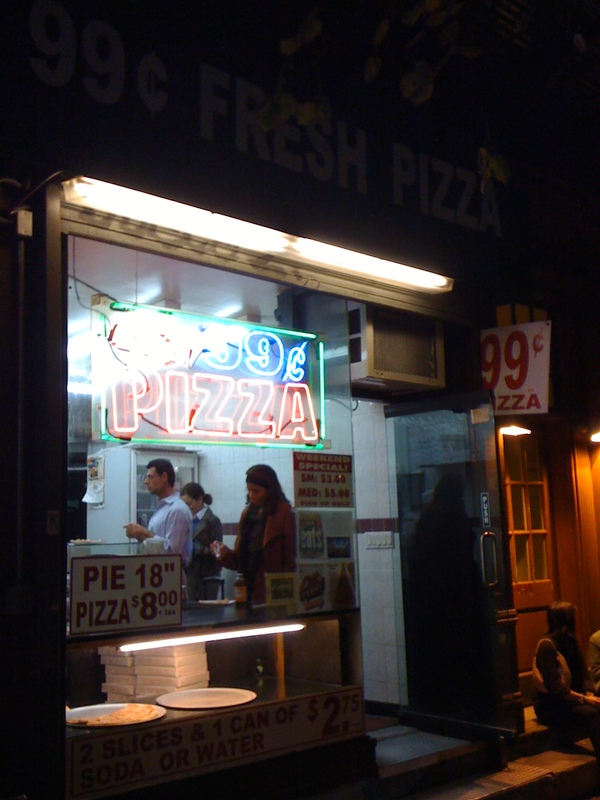 During my first year in New York City (moved out in October, 2009), I took quite a few photos of things that were, at the time, novel. Novelty photos are great because they unveil subject matter that excites an individual. I think we should always feel excited about our environment, and if you are not, it may be indicative that you need to change your life-clothes. Here are some of my gems. 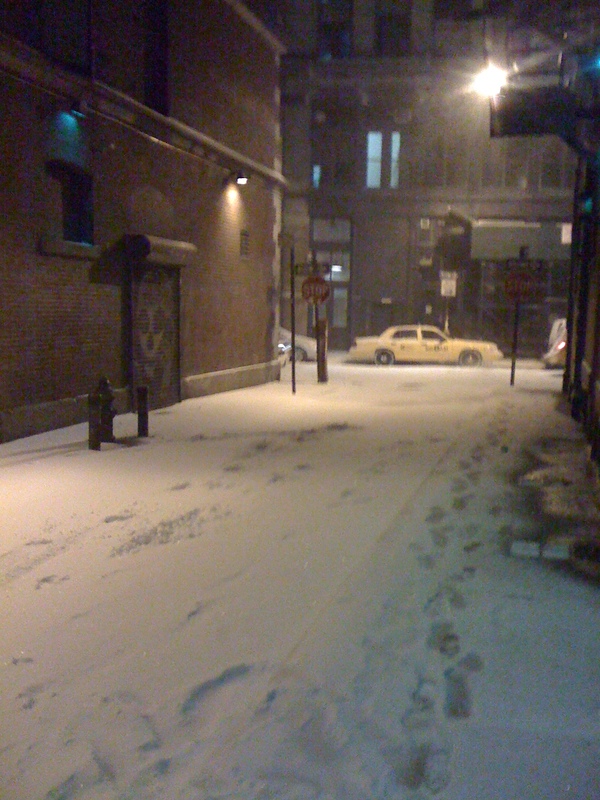 First snow in the city is magical. Now it’s a nuisance, because melted snow = puddles, which turns the entire city into a giant game of Frogger. 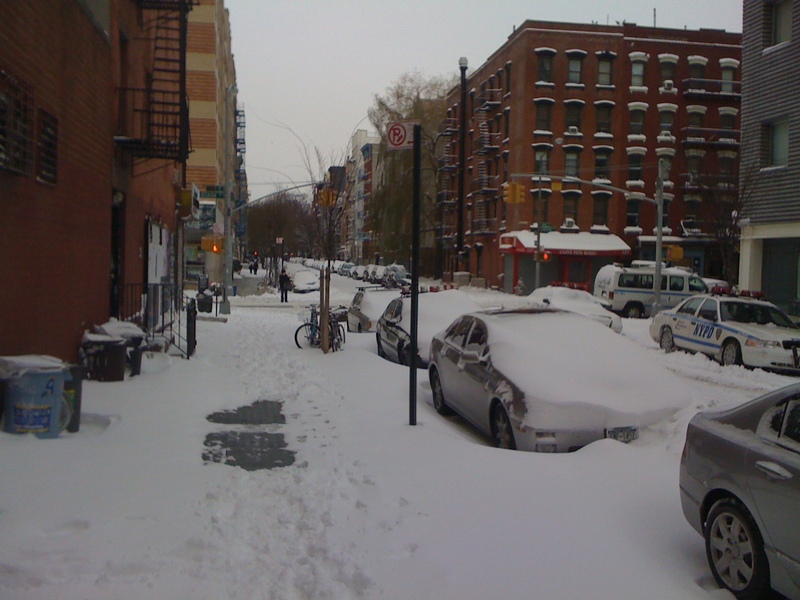 In this photo, we can see that NYC stays consistent throughout the years — you never know if your street is gonna get plowed or not. 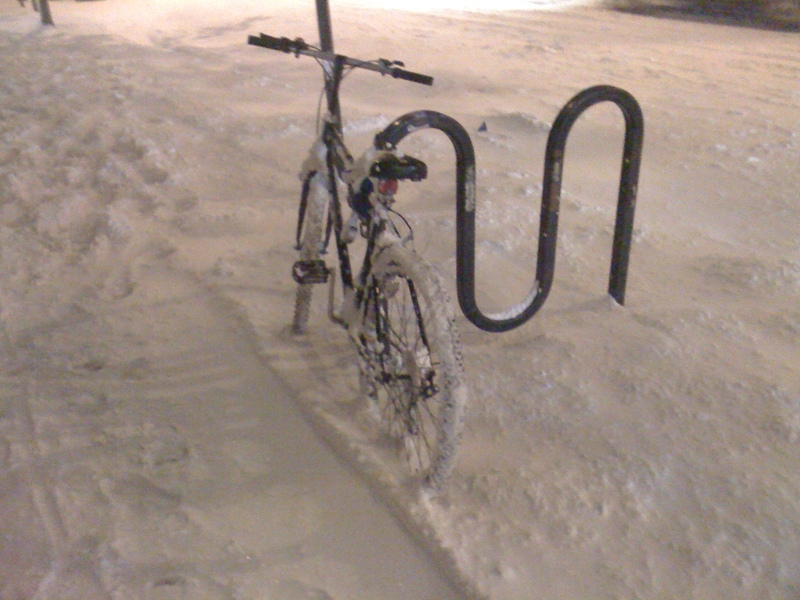 Even bike thieves are afraid of the snow. 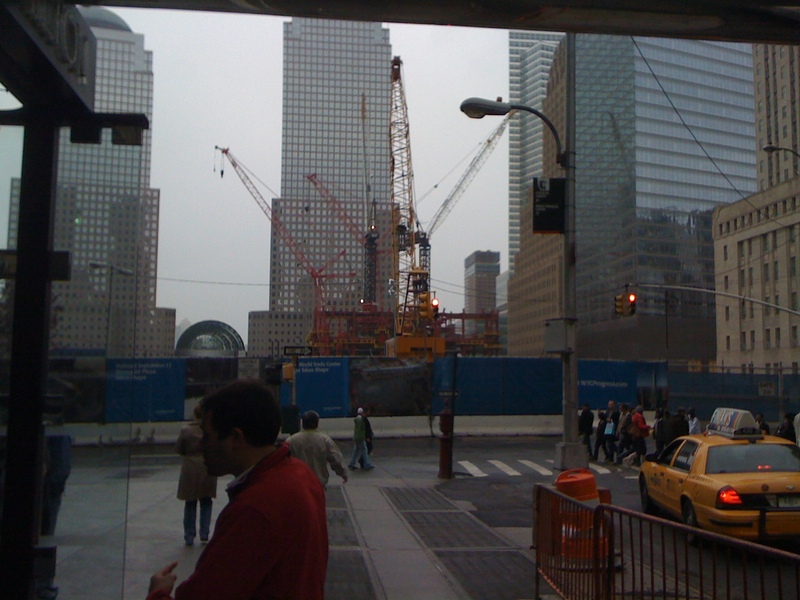 Ground Zero, which, I actually still might take a photo of, because One World Trade Center now stands here. 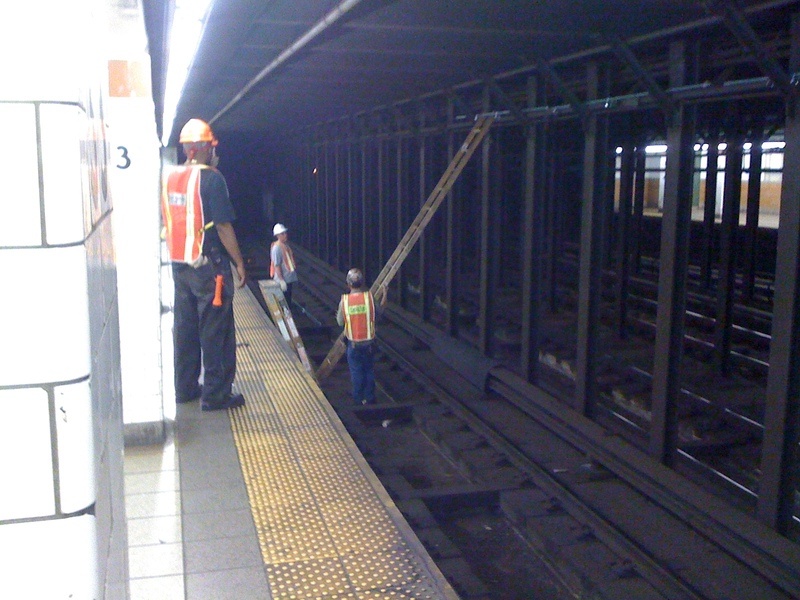 Subway guys working on subway stuff. Definitely never take photos of this anymore. Now when I see this, I know it means any of these things: 1) it’s passed 12 a.m. and I should be in bed, 2) my train is going to be delayed, or 3) my train is never going to come. 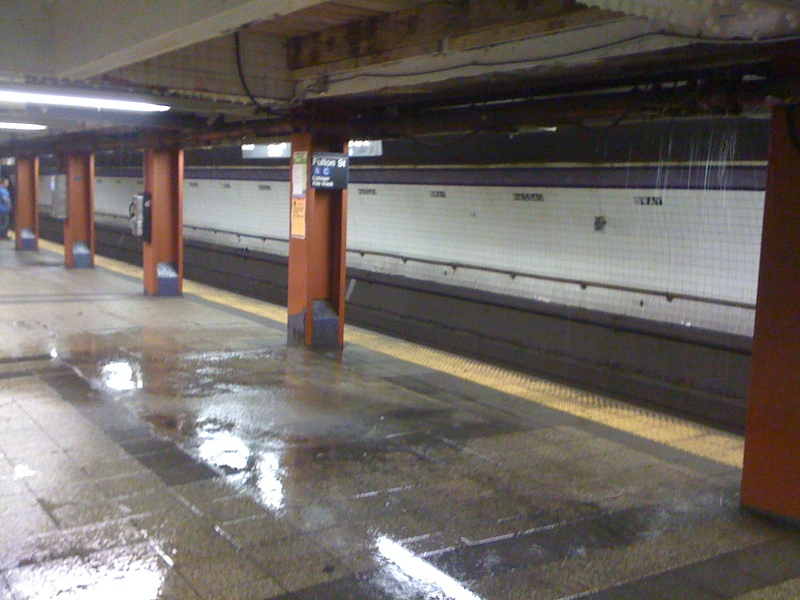 The subway is water-tight, which is why you see water pouring into most stations whenever there is more than 1 centimeter of rain. Don’t forget to bring your rain catcher. This crazy art. And this weird dog. Since I’ll never see both of them together again, I’m glad I captured this. 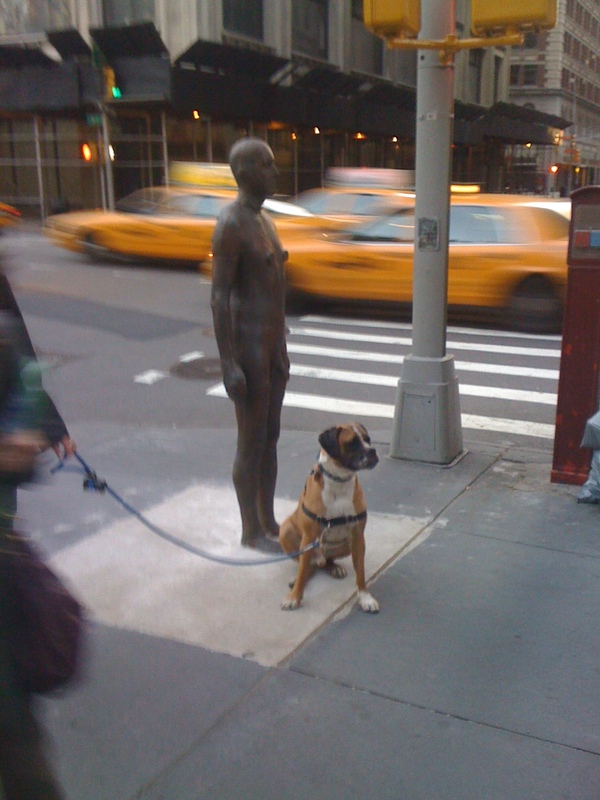 I also know that now I would see this dog and be pissed at the owner for having such a long leash on a busy street. Santa Con before I knew what Santa Con was. 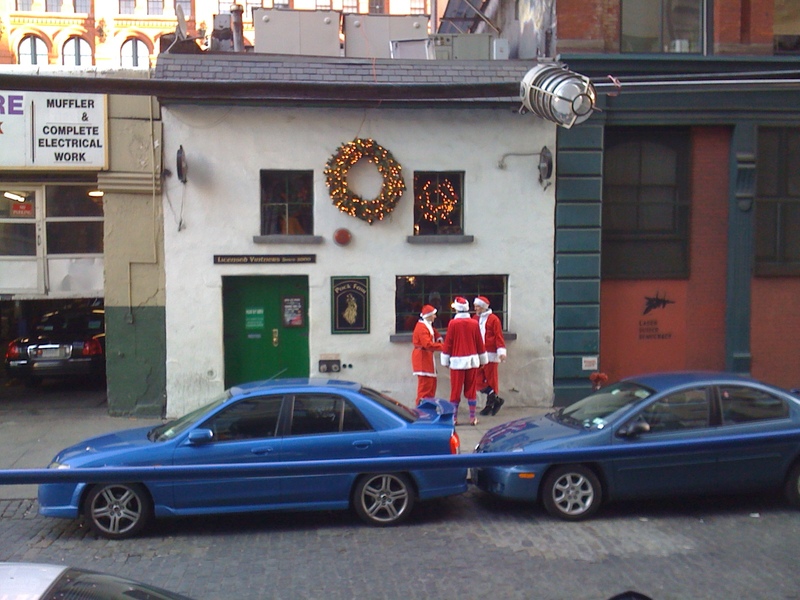 Now I know what Santa Con is. 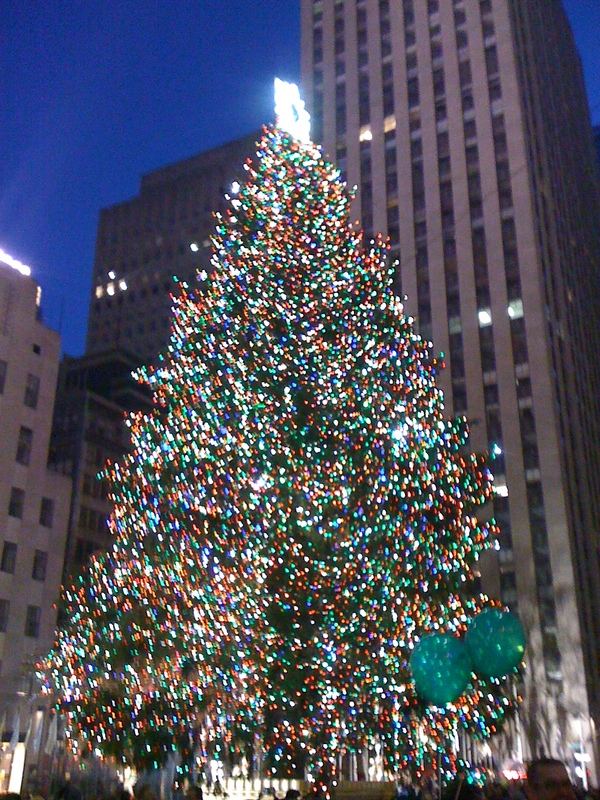 I actually forgot that I’ve ever seen this tree in person. If I had to go this year, first, I’d rent some ice skates. Then, I’d use them to create a wall of defense around me. You know, like Wolverine does. 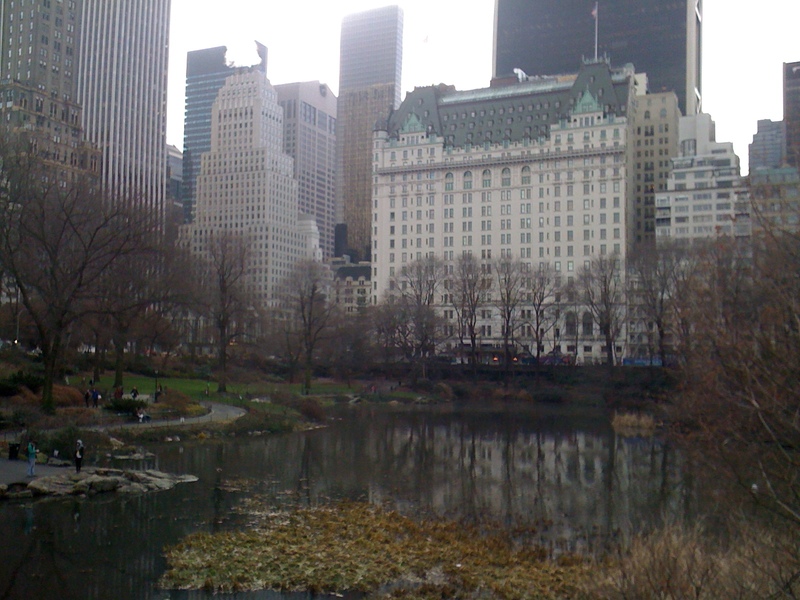 This is the Plaza Hotel. You remember Home Alone, don’t you? I’ll just Google it now. That way I can avoid taking the subway to go see this tourist-surrounded monstrosity. New Year’s Eve. 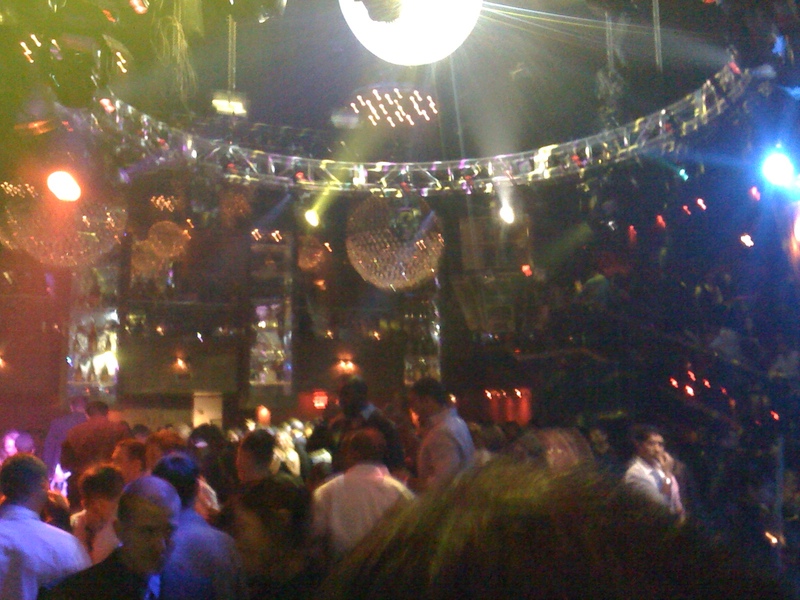 I’m glad I took a photo, because I can’t remember any of it. 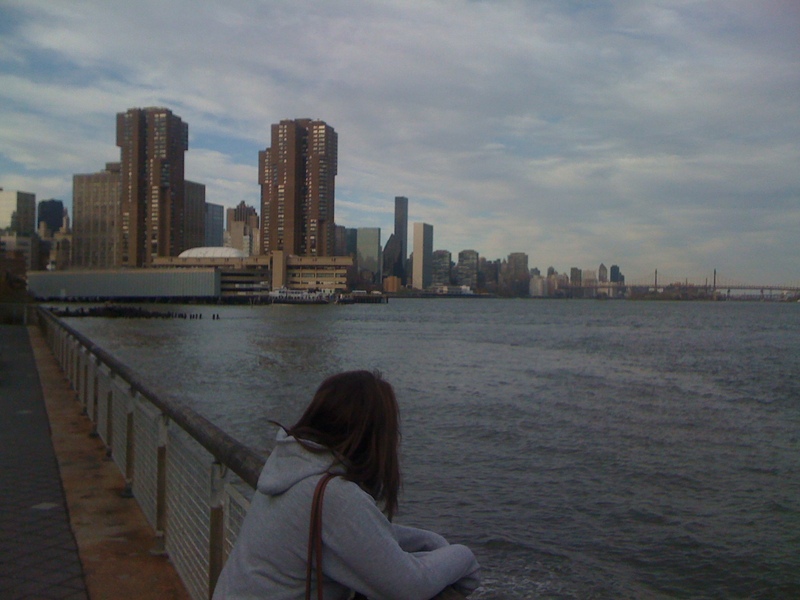 Welcome to New York City! 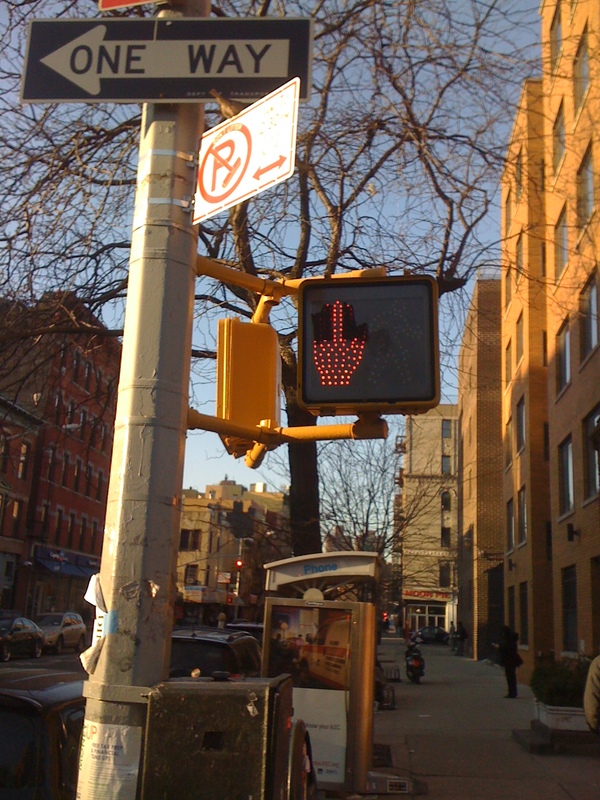 These days I just give the finger right back. 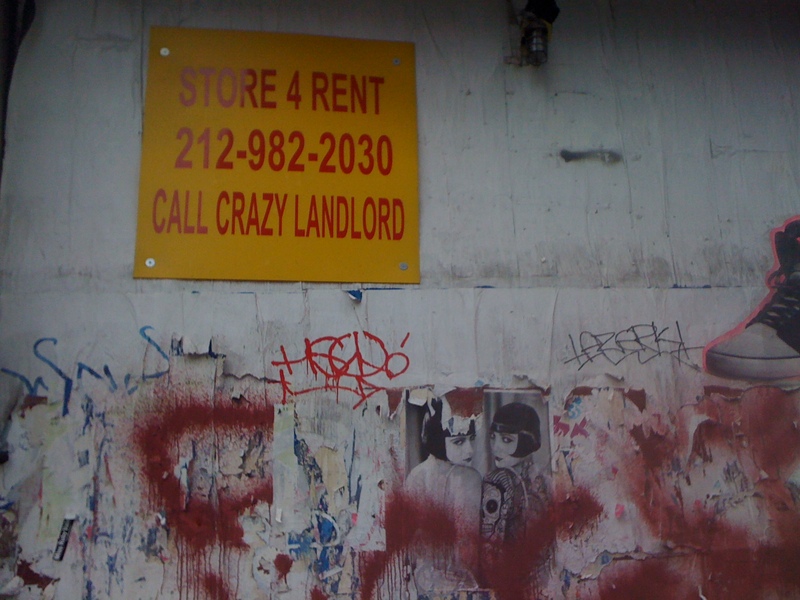 Alternatively you can just call any landlord — they’re all crazy. 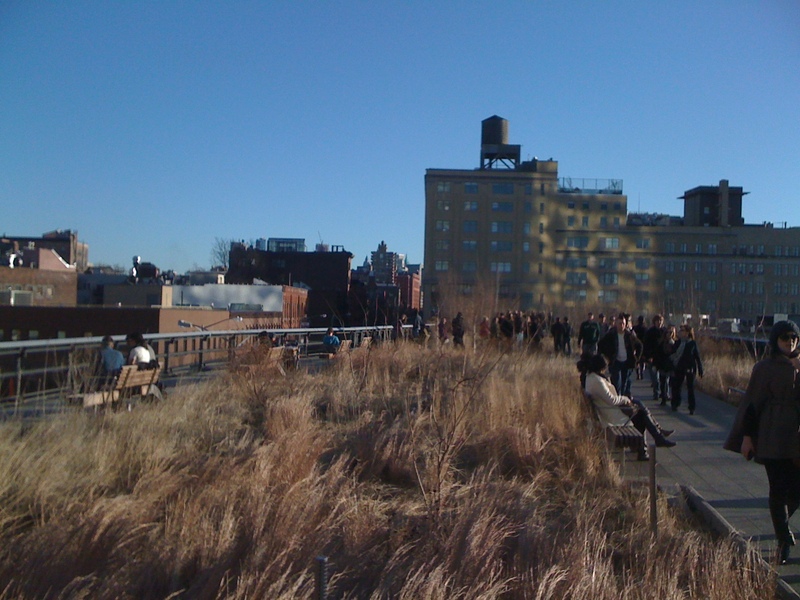 The Highline. It’s like a train track, but it’s a park. Still cool to go here, but it has lost its picture-worthiness. 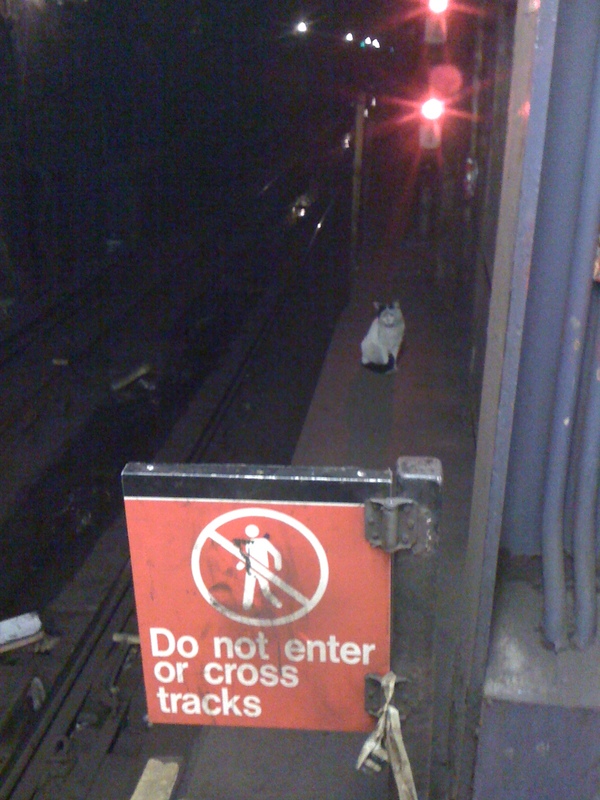 This cat did not learn how to read in school. 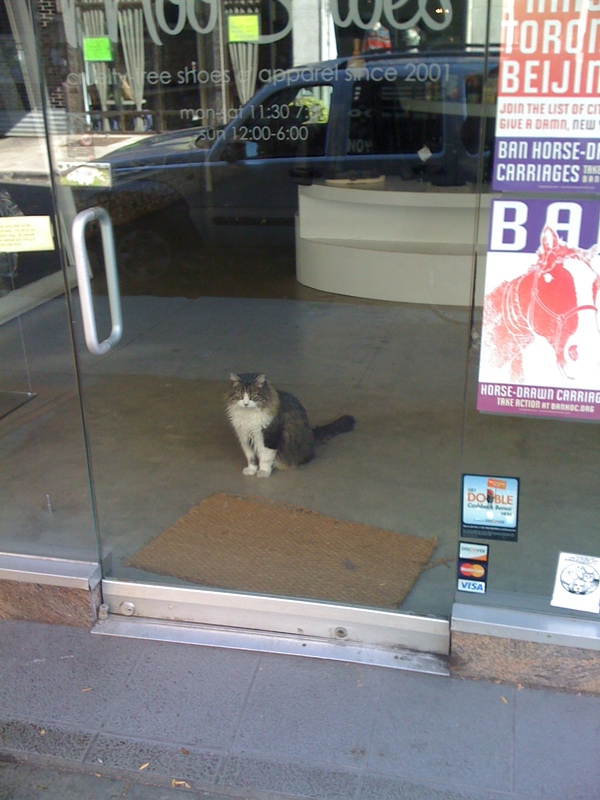 This cat is the store’s security. Little Felix also is a shirt-folding machine. 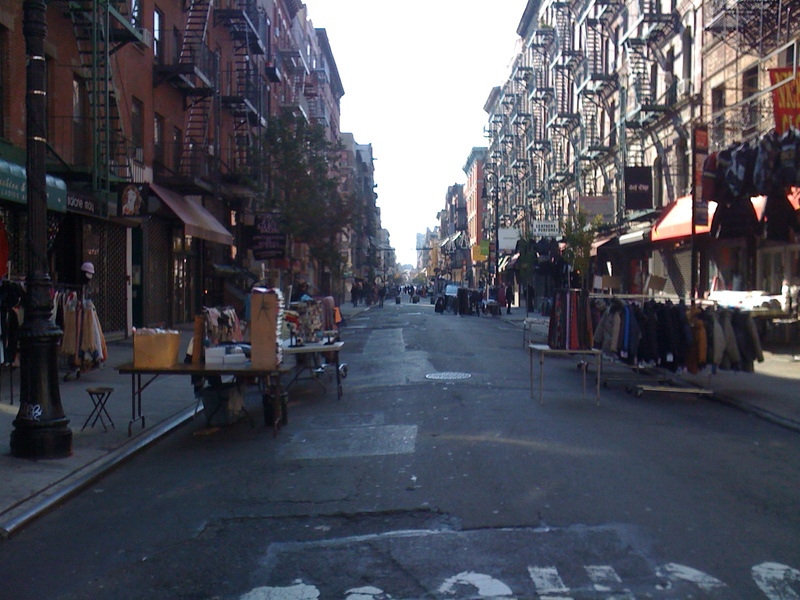 People selling stuff on the streets in the Lower East Side. 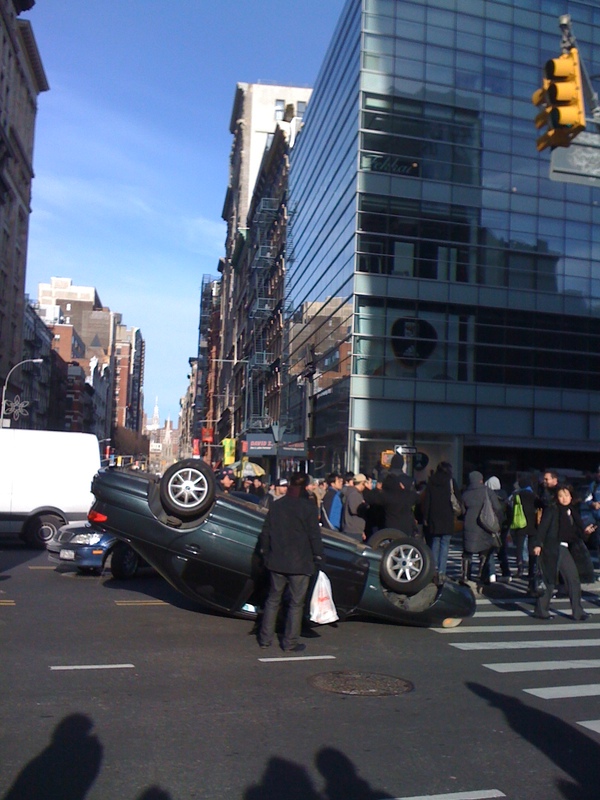 At the time, it surprised me that any streets in Manhattan were used for anything other than driving/jay-walking. I am still surprised by this photo — these people actually sell their wares. Look at that beautiful polluted water! 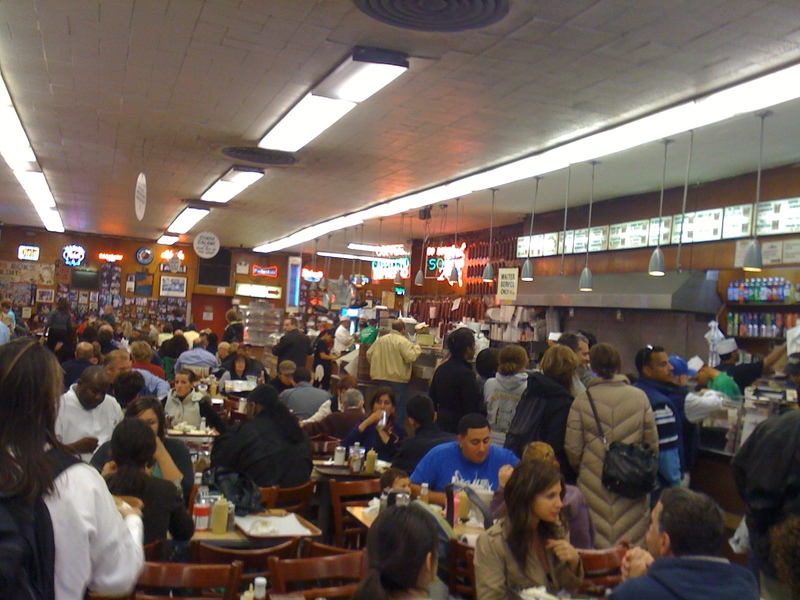 Katz’s Delicatessen. I had one of these sandwiches this December. It took me 3 years to make it back here; I’m not a big fan of lines. 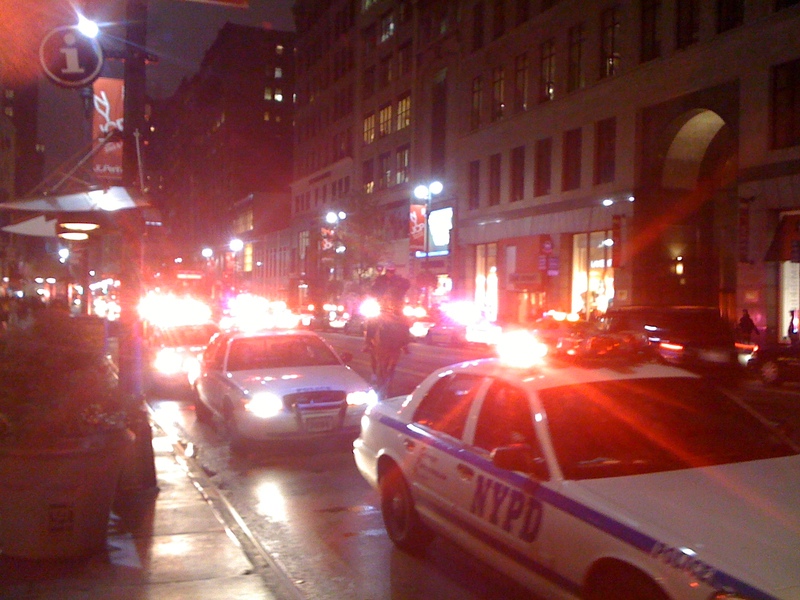 I think Obama might have been in town. 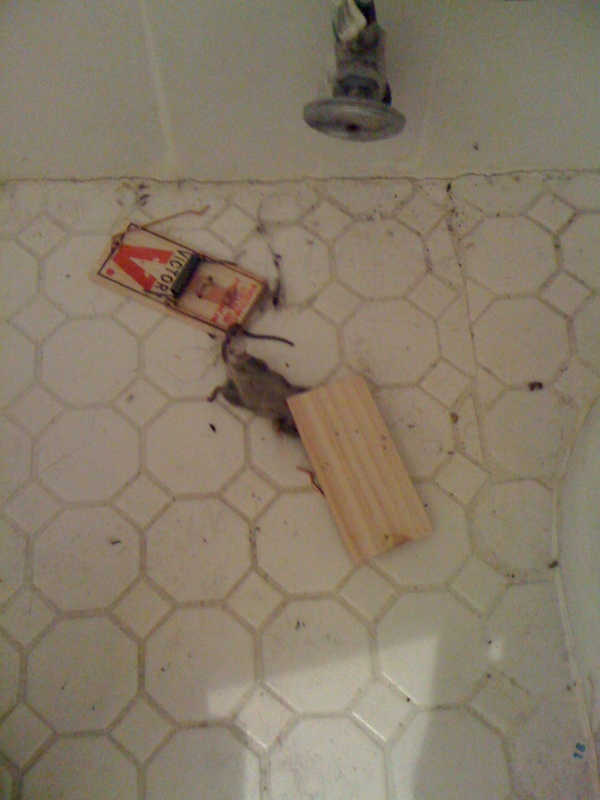 Maybe I was hoping to get a photo of him. Definitely don’t care anymore. There are 10 flower beds in the city. There are 10,000 dogs. 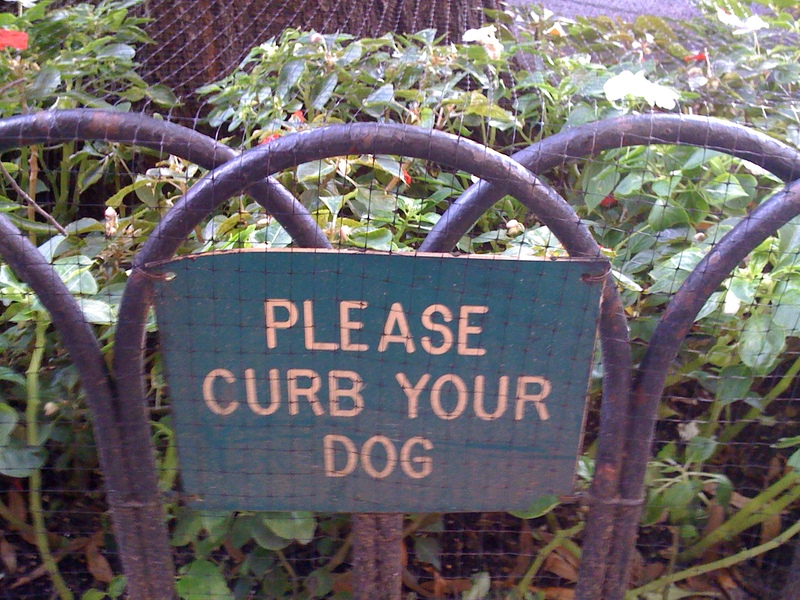 Sadly, dog-owners need to be reminded that their dog should not be peeing or pooping on 1/10 beautiful things in the city. Once you’ve got it once, you don’t need it again. This is still great though. Why did I take this photo? 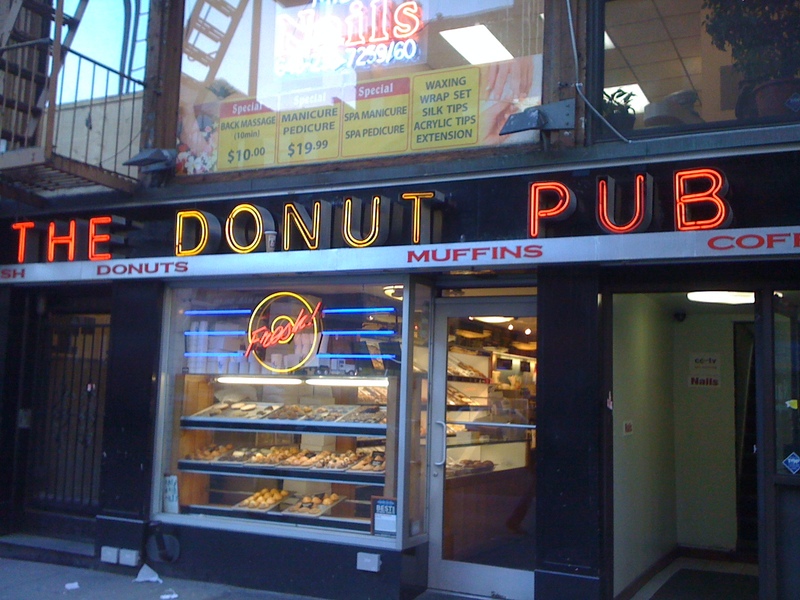 I must have been trying to prove a point — that there are donut shops in Manhattan which are not Dunkin Donuts. 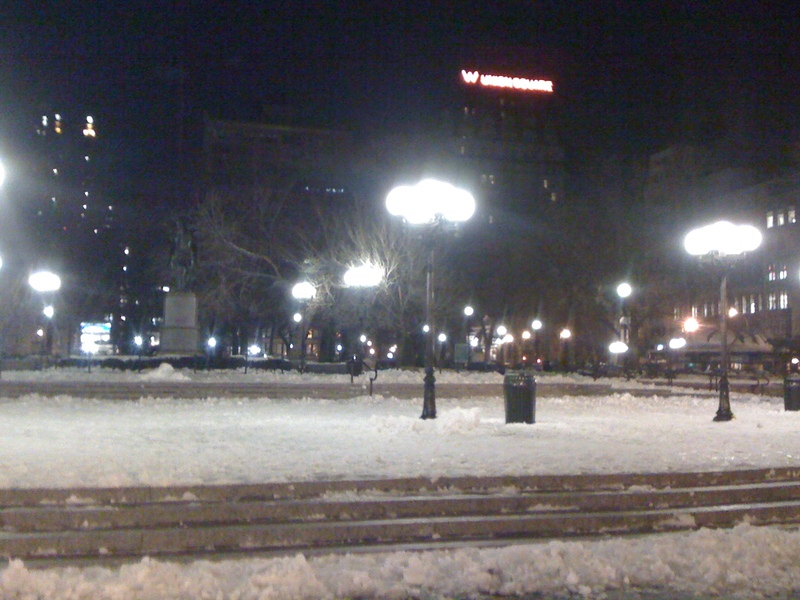 This is an empty Union Square, with snow. Did you hear me? 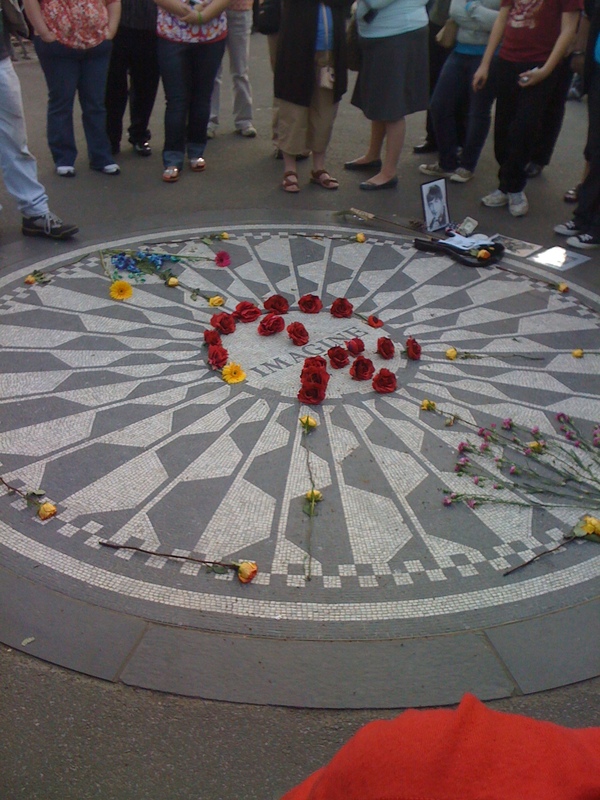 Union Square. Empty. → The Whole Life Challenge: You Mean I Can’t Eat Pizza?